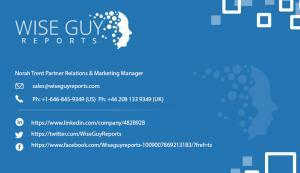 WiseGuyReports.com “Morocco - Telecoms, Mobile and Broadband - Statistics and Analyses” report has been added to its Research Database. PUNE, MAHARASTRA, INDIA, March 14, 2019 /EINPresswire.com/ -- WiseGuyReports.com “Morocco - Telecoms, Mobile and Broadband - Statistics and Analyses” report has been added to its Research Database. Morocco seeing benefits from the Maroc Digital 2020 strategy. Morocco retains one of the most advanced telecommunications markets in Africa. The part-privatised incumbent telco Maroc Telecom remains the dominant player in the fixed-line sector though has effective competition in the mobile sector. A key regional player, Orange Group, entered the market through the acquisition of a major stake in the telco Médi Telecom (Méditel), which has since been rebranded as Orange Morocco.